I love the look of concentration on her face. And oh my, she has really grown! Wonderful help in the kitchen you have! oooh, more shave ice syrup? Yummy! 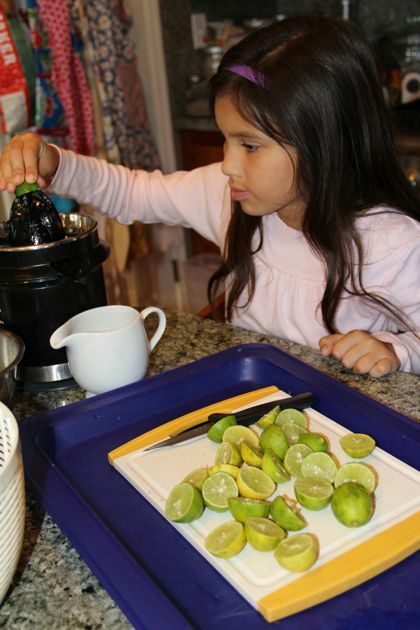 I am planning on making lime bars soon with some lime juice I froze. Shave Us From The Heat!